EMF » Program of research incorporating six studies to improve the assessment and diagnosis of chest pain. Emergency Medicine Foundation > Projects > Queensland > Program of research incorporating six studies to improve the assessment and diagnosis of chest pain. Program of research incorporating six studies to improve the assessment and diagnosis of chest pain. The aim of this study is to prospectively investigate the accuracy and safety of an accelerated’ chest pain diagnostic pathway (ANZAP rule) in patients presenting with intermediate risk chest pain in an Australian setting. Chest pain is one of the most common Emergency Department (ED) presentations, but establishing a diagnosis of heart-related conditions is challenging and resource-intensive. Difficulties occur for a number of reasons. First, there are no tests available to rapidly identify all individuals who have heart conditions. Second, the symptoms of heart disease are varied and are common across a number of different illnesses. Thus, physicians who are treating patients with potential heart disease have to use a number of signs, symptoms, and tests to determine the likelihood that someone has heart disease. This process can take between 12 and 24 hours. The researchers have conducted a significant program of research and developed a more rapid approach to diagnosing chest pain. This approach allows physicians to identify the risk of heart disease as early as 2 hours after arrival in the ED using clinical information, and blood tests. The purpose of this study is to demonstrate that the assessment process for patients presenting acutely to hospital EDs with possible cardiac chest pain is safe and accurate. 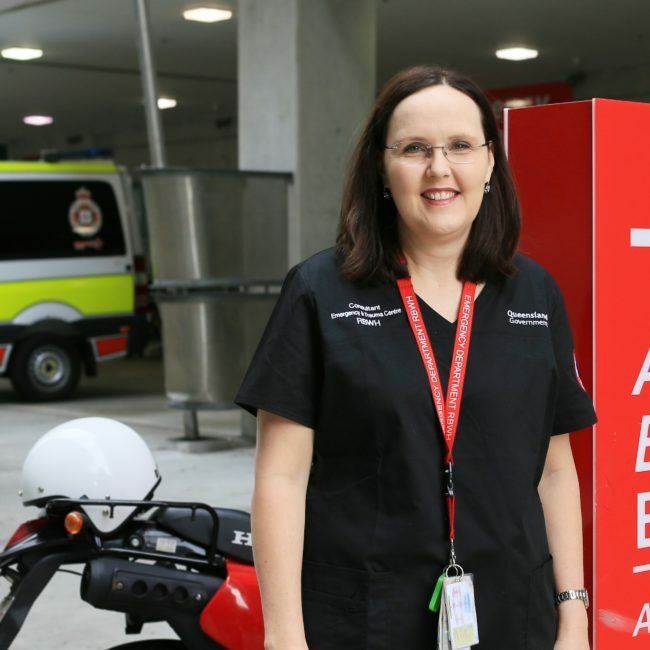 This study will recruit 1000 patients presenting to the Royal Brisbane and Women’s Hospital with greater than 5 minutes chest pain who are assigned as intermediate risk of acute coronary syndromes (ACS) on initial clinical assessment. These individuals will be treated according to the newly developed protocol and followed-up for 45 days to determine the accuracy of the test in predicting patient outcomes. Prof Cullen and the team at the RBWH developed trialled the safety and evaluated the health economic benefits of the ‘Improved Assessment of Chest pain Trial’ (ImpACT) Protocol. They showed that the ImpACT protocol is a rapid approach to diagnosing chest pain in emergency patients. It allows clinicians to safely accelerate the assessment of up to 70 per cent of emergency patients presenting with chest pain. ImpACT was investigated at the RBWH during February 2011 to March 2014, with 1366 patients presenting to the ED with symptoms of suspected ACS stratified into groups at low, intermediate or high risk of an ACS. Low and intermediate risk patients underwent troponin testing at presentation and two hours later. Intermediate risk patients underwent objective testing after the second troponin test and low risk patients were discharged without further objective testing. Care for high risk patients was unchanged. In 2017, the National Heart Foundation of Australia/Cardiac Society of Australia and New Zealand updated their Guidelines for the Management of Acute Coronary Syndromes (ACS), to incorporate the ImpACT protocol. > Reduced the expected cost of assessment by $1229 (in some hospitals, the assessment cost of $1600 per chest pain patient was reduced to about $600). In 2016, Queensland Health awarded the team an $800,000 grant to pilot ImpACT at the Cairns Hospital and potentially roll it out to further Queensland Hospitals. It has been estimated that this newer protocol could deliver additional economic benefits of $12.4 million annually if rolled out in all Queensland hospitals. •	Greenslade, J.H., Hawkins, T., Parsonage, W., Cullen, L., “Panic disorder in patients presenting to the Emergency Department with chest pain: Prevalence and presenting symptoms.” Heart, Lung and Circulation, 2017 Dec;26(12):1310-1316. doi: 10.1016/j.hlc.2017.01.001. Epub 2017 Feb 16. •	Ruane L, Greenslade, J., Parsonage, W., Hawkins, T., Hammett, C., Lam Su Ping, C., Knowlman, T., Doig, S., Cullen, L., “Differences in presentation, management and outcomes in women and men presenting to an Emergency Department with possible cardiac chest pain.” Heart, Lung and Circulation, 2017 Dec;26(12):1282-1290. doi: 10.1016/j.hlc.2017.01.003. Epub 2017 Feb 17. •	Knowlman, T., Greenslade, J. H., Parsonage, W., Hawkins, T., Ruane, L., Martin, P., Prasad, S., Cullen, L., “The association of electrocardiography abnormalities and acute coronary syndrome in emergency patients with chest pain.” Acad Emerg Med., 2017 Mar;24(3):344-352. doi: 10.1111/acem.13123. •	Cullen, L. “The cost of change: Can you afford not to?” 8th Asian Conference on Emergency Medicine – Taiwan, 7-10 November 2015. Invited oral presentation.